Women who have experienced low mood or depression during pregnancy or in the first year after childbirth (within the last five years) are invited to participate in a PhD study. I would like to hear your fairly recent (within the last 5 years) experiences of low mood or depression during pregnancy or in the first year after childbirth (perinatal period), and any care that you may have received. About one in ten women suffer from depression during pregnancy or after childbirth. Depression during this period can affect not only the woman but also her partner and children. Evidence suggests that although women have regular contact with health professionals, they do not tend to disclose their feelings and, therefore, perinatal depression often remains undiagnosed. Among those whose depression is detected and treated, few receive evidence-based treatments. It is an important issue to address due to the high prevalence of perinatal depression and impact on women, children and partners. Therefore, this study aims to understand the provision of care for women with perinatal low mood or depression and help them to explore the use of a talking therapy for treatment. Your participation and sharing your story may help others in the future. What does participation in the study involve? You will be asked to take part in an interview, which would be audio recorded and last for no more than 60min. You can choose a private and convenient location for the interview. Reasonable travel expenses will be reimbursed and as a thank you gift for your time, a £20 One4all gift card will be presented. Participation in this study is completely voluntary. Your participation would be anonymous and your identity will be kept strictly confidential. How can I participate in this study? For more information or to take part, please contact me (PhD student Semra Pinar) on telephone: 07729 070393 or Email: sp1365@york.ac.uk. I will give you more details about the study and then you can decide whether you would like to receive an information pack (includes participant information sheets, consent forms, demographics form, contact details sheet and a pre-paid stamped-addressed return envelope) by post. You are free to withdraw from the study at any time, even during the interview without giving reason for withdrawing. We’re looking for an enthusiastic and experienced Solicitor to join our Private Client team. This is a fantastic opportunity for an ambitious Solicitor to develop their career in a growing firm with genuine long-term opportunities for development. Our busy Private Client team specialises in wills, LPA, estates, trusts and tax advice. Certain members of the Private Client Team also specialise in charity law and, in conjunction with others, contentious probate. We particularly envisage developing Court of Protection/Lasting Power of Attorney work. The successful applicant will be asked to prepare a programme by which this can be achieved. As this is partially a developmental role, the successful applicant should show an aptitude for marketing, to include seminar style talks. You will be expected to take an active role in networking and business development and to generate new clients and contacts as well as maintaining current relationships. Crombie Wilkinson is one of North Yorkshire’s largest and most long-established firms. First established in the 1800s and in its current form in 1991, the firm now comprises of over 100 staff including 15 Directors and 47 Legal Advisers. With offices in York, Selby, Malton and Pickering we are uniquely placed to serve the region with a comprehensive and high-quality legal service and we place much importance on our local knowledge, as well as our speedy and personal service and our down to earth approach. We are an ambitious firm, with high standards of client care. We are also passionate about developing our people and we are both Lexcel and Investors in People accredited. We offer a competitive salary and benefits package – which includes 25 days holiday a year, a company pension, health plan plus more. We provide a fully supportive background to your Continuous Professional Development within a friendly team environment. We’re looking for an enthusiastic and experienced Legal Secretary to join our Family Care team based at our York office. This is a fantastic opportunity for an ambitious candidate to develop their career in a growing firm with genuine long term opportunities for development. You will be responsible for: Preparing correspondence and documents through audio typing as well as amending and formatting complex documents. Attending clients both in person and over the phone and provide assistance in a professional and friendly manner. Take messages, book meetings and appointments and maintaining an up to date diary for Fee Earners. Administering files as well as opening files on case management system and their day to day maintenance – making best use of Proclaim to ensure maximum efficiency. Providing support to other secretaries and Fee Earners when necessary. At Crombie Wilkinson we put great emphasis on our values. Our values underpin our strategy and we want to ensure that every member of the team embraces them to further our ambitions for our business, our people and our clients. You will be searching for a role where you can build experience, continuously learn and improve and take your career to the next level. A good understanding and experience within family and care matters, particularly monitoring the Legal Aid Certificate aspect of Care matters is desirable. An understanding of CCMS and legal aid would be desirable. 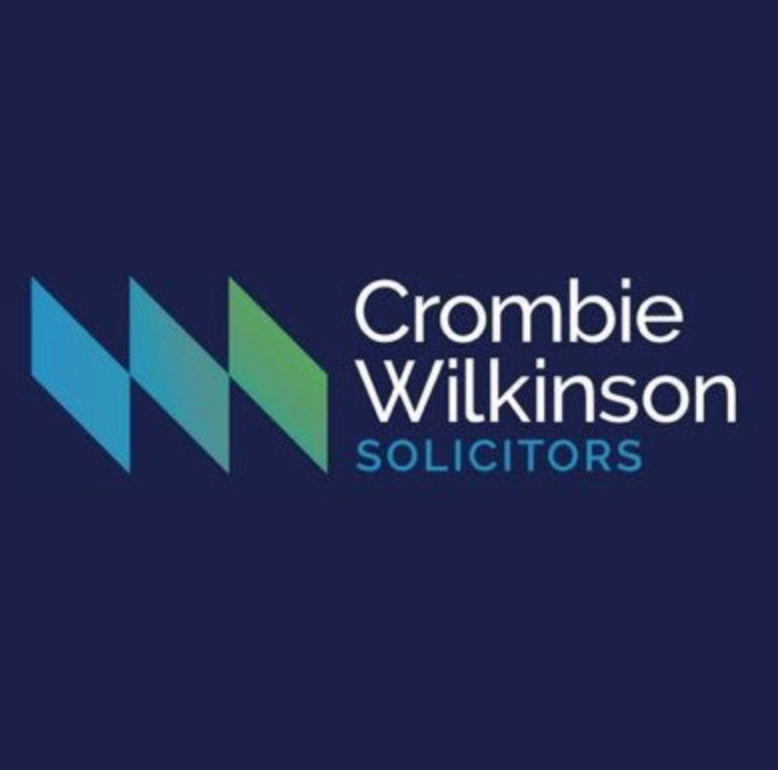 Crombie Wilkinson is one of North Yorkshire’s largest and most long-established firms. First established in the 1800s and in its current form in 1991, the firm now comprises of around 120 staff including 14 Directors and 45 Legal Advisors. With offices in York, Selby, Malton and Pickering, we are uniquely placed to serve the region with a comprehensive and high-quality legal service and we place much importance on our local knowledge, as well as our speedy and personal service and our down to earth approach. We offer a competitive salary and benefits package – which includes 25 days holiday a year (plus bank holidays), a health cash plan and a company pension. We are looking for a Family Care Paralegal that is enthusiastic, motivated and able to pay attention to detail, to assist with care proceedings at our York Office. The role will include drafting statements, preparing/drafting applications for submission to Court, preparing bundles and liaising with professional experts and clients. A good understanding and experience within this area of law and in particular monitoring the Legal Aid Certificate aspect of Care matters is desirable. The successful candidate will assist in a broad range of activities. On a day to day basis you will be dealing with due diligence and business enquiries assisting in the office, attend upon clients. Our ultimately aim is to train the successful candidate into becoming proficient in transactional work and holding their own case load. An interest in family care proceedings is essential. Strong communication skills and an excellent client facing disposition and telephone manner are essential. At Crombie Wilkinson we put great emphasis on our values. Our values underpin our strategy and we want to ensure that every member of the team embraces them to further our ambitions for our business, our people and our clients. You will be searching for a role where you can build experience, continuously learn and improve and take your career to the next level. We are looking for a Full of Part Time Receptionist to develop their career in a growing firm with genuine long term opportunities for development. This role is integral to the smooth running of the office. You will be the first point of contact for our clients and potential clients, both over the phone and when they visit our office. The successful candidate will operate a busy multi-line telephone system, answering incoming calls, directing callers to appropriate staff member as well as completing a variety of administrative duties. You will have responsibility for maintaining the firm’s high standards of client service. This will be very hands on role, where you will be expected to be involved in meeting and greeting clients, co-ordinating meeting rooms, storing and retrieving files and deeds, and ordering office supplies and consumables. You may be required to help the secretaries with typing during busy periods. You will work closely with the Operations Assistant to ensure the smooth running of the office operations. You will also be expected to undertake the role of Fire Warden and First Aider for the office. Crombie Wilkinson is one of North Yorkshire’s largest and most long-established firms. First established in the 1800s and in its current form in 1991, the firm now comprises of around 115 staff including 15 Directors and 45 Legal Advisors. With offices in York, Selby, Malton and Pickering we are uniquely placed to serve the region with a comprehensive and high-quality legal service and we place much importance on our local knowledge, as well as our speedy and personal service and our down to earth approach. We are an ambitious firm, with high standards of client care. We are also passionate about developing our people and we are both Lexcel and Investors in People accredited. We offer a competitive salary and benefits package – which includes 25 days holiday a year + bank holidays, a company pension, a health plan, plus more. We provide a fully supportive background to your Continuous Professional Development within a friendly team environment. The firm is in a superb location in the historic parish town of Pickering and offers a great work/life balance. The candidate should be at least Level 2 Fitness Instructor Qualified and have a passion for health and fitness. The candidate should have excellent interpersonal skills and be experienced in working within a team. A drive to learn and progress within the fitness industry is a must. The role would include setting goals and created tailored programmes for new members, reviewing programmes of existing members, delivering classes on the gym floor as well as maintaining premium customer service, maintenance and cleanliness standards on the gym floor. If you are a teacher then the answer will be yes because that’s what we all came into the world of education to do- to enable children to become life-long, resilient learners who grasp every opportunity to learn something new. At Smiles&Miles, we pride ourselves in providing enjoyable learning experiences designed to boost our students’ confidence and academic progress. Happy learners are successful learners and that’s at the heart of what we do. Do you share this philosophy? If you do then we would love you to come on board and tutor with us! *Be fully qualified teachers with recent experience of the Secondary or Primary curriculum. *Have recent enhanced DBS check clearance. *Be dedicated to making a positive difference to students’ academic progress and enjoyment of learning. *Have a good understanding of the different teaching and learning strategies that help children to acheive learning success. *Be willing to obtain Public Liability Insurance. *Flexible working hours- you choose how often you’d like to work. *All initial liasing with parents and invoicing carried out by Smiles&Miles Tutoring- tutors are matched to students in terms of subject and year group preference and location. *Resources provided to the students. *Smiles&Miles Tutoring carries out all of the marketing to increase your chance of getting work. *If you do not have a recent enhanced DBS check, you can apply for one through Smiles&Miles Tutoring. * Parents pay Smiles&Miles directly and we pay you an hourly rate for which you invoice us weekly or monthly. * Smiles&Miles will contact you once each term to see how the sessions are going, offer advice and answer any questions you may have. “Working with Smiles and Miles has been an amazing experience. It’s truly lovely to hear from children and parents that our sessions are making a difference to their confidence and school life!” James KS1 AND KS2 tutor. Our Finance teams, don’t just process numbers, it’s about collecting vital information which informs decisions and drives our business. As such, it’s at the heart of our commerciality. We hold Finance in high regard as a pivotal driver in our continued success and performance, so if you enjoy working in a front-line, operational function where your work is highly valued and impacts visibly on our people and business, this could be your kind of place. To facilitate the smooth handling of invoices. Ensure accurate accounting for VAT, subcontractors tax and CITB payments as appropriate. IT literate, with a sound working knowledge of MS Excel and relevant finance systems. Self–disciplined, with demonstrably good time management skills and the ability to manage a number of priorities. What about the benefits package? Robert Wilkinson Primary Academy are looking to recruit Playworkers to join our Wrap Around Care team. There are various days and times available Monday to Friday. Days to be negotiated and there would be an option to do additional relief work. It is an opportunity to be part of our small, friendly team who play a key role in our school. Experience would be useful although full training will be given. This is an exciting opportunity to become part of Robert Wilkinson Primary Academy, part of the Ebor Academy Trust, to provide an inclusive environment in which children are encouraged to become responsible for themselves, their learning and their behaviour. Our central aim is to enable all children and staff to achieve their potential. Visit our WEBSITE to apply for this position. At Bettys, you will have the chance to be your best every day; by achieving excellence in delivering exceptional customer service, being a key team player, as well as maintaining the highest brand, food hygiene and health & safety standards, all within a fast-paced and dynamic environment. For details of how to apply please visit our WEBSITE. Researchers at the York Developmental Social Neuroscience Lab (University of York) are inviting 1- to 10-months-old babies and their parents to participate in the project ‘I hear your emotions’. Detecting and telling apart the emotions shown by the people around us is a crucial skill for our social lives. Changes in facial or vocal expressivity tell us how people feel and help us decide how to interact with them. Over the past decades, scientists have revealed that within the first year after birth, babies develop amazing abilities to tell apart different emotional facial expressions. By the age of 9-12-months, babies also use emotional facial expressions to learn about the world around them. For example, they are less likely to touch an object if their mother has previously expressed fear towards that object. Scientists have also shown that already at birth babies can tell apart different emotional modulations present in the voice. However, in contrast to facial expressions, we know far less about how babies learn about emotional voices during the first year of life. Our project focuses on understanding how the baby brain develops to detect and differentiate between different emotions expressed in the voice. We anticipate a great deal of variation in this ability, so there is no right or wrong. By discovering how babies learn about others’ emotions, we hope to find out how to foster children’s social and emotional wellbeing. What does participation in the research involve? Participating in this project involves one visit, lasting approximately one hour, to the University of York. During the research session, your baby will hear voices of other babies or of adults with different emotional intonations (e.g., happy, sad, angry). In order to record how the brain responds to these sounds, your baby will wear a special hat with sensors embedded in it (like the one shown in the picture). Safe and secure research for babies: The hat is specifically designed for babies and it is comfortable to wear. The sensors are not harmful. They only capture the weak signal coming from the brain, in a similar way to the sensors present in smart watches for recording the heart activity. You will be with your baby at all times. Thank you gift: Parents receive £10 to support the trip to the University of York and babies receive a small gift as a token of our appreciation for their help. We also provide free parking in case you decide to travel by car. How can I participate in this research? If you have a baby 1- to 10-months-old and are interested to take part in the project, please sign-up by filling in the form at the following link. The information you provide will be stored securely and will not be shared with anyone outside our team. More information: Filling in the form does not mean you consent to participate. We will soon get in touch with more details about the project, and then you can decide whether you would like to schedule a research session at a date and time that suits you. In case you would like to find out more before signing up, please contact us at: psychology-dsn-lab@york.ac.ukWe are looking forward to hearing from you! Do you have a job to list? Would you love to work flexibly around your family, earning money whilst still being there for important milestones, birthdays, and everyday special moments? 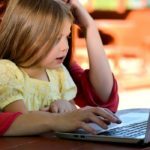 Work from home with Usborne Books and do just that. For just £48 you get a starter kit containing £150 worth of books and stationary to get you off to a flying start and constant group and one to one support on your journey. No minimum monthly orders and no pressure. 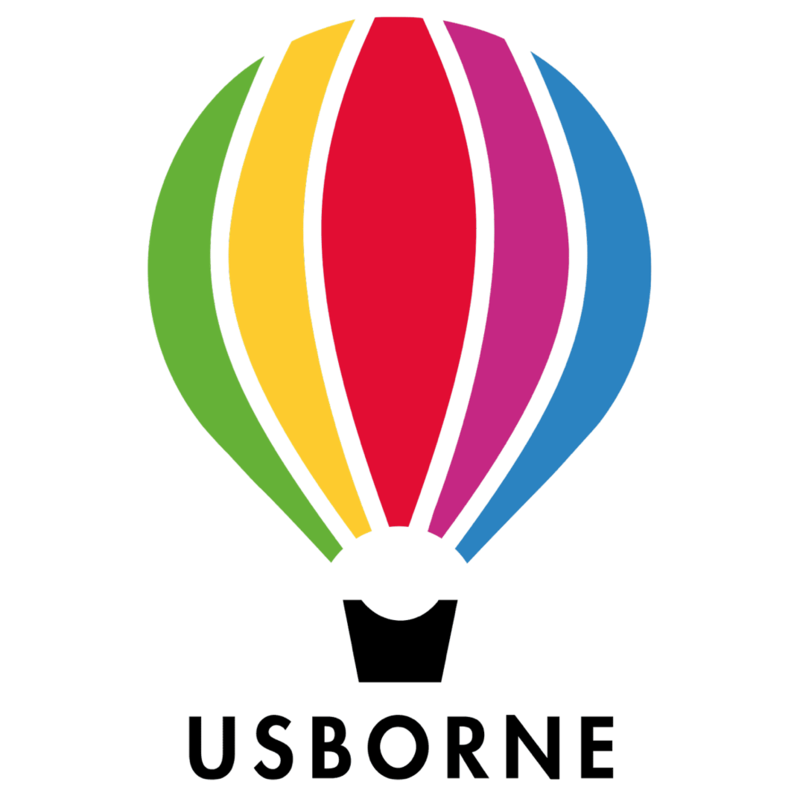 Being an Usborne Organiser has given me the chance to receive FREE books and go on many days out with my family, also the chance to promote literacy in schools and help put books into the hands of lots of children! We are continually looking for Relief Nursery Practitioners to work on a part time basis to support the team with sickness, holiday or other absence cover at all of our Young Discoverers sites: the Nursery based at Escrick Business Park, and Before & After School Clubs based at both Cliffe and Escrick Primary Schools. 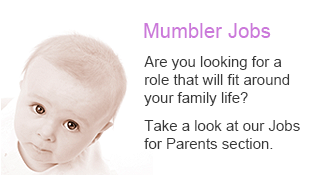 The role would ideally suit a Practitioner with an interest in gaining specific experience with children across the age group of 3 months through to 11 years. It may be that you already have a part time job, studies or other commitments that mean you would enjoy the opportunity to work with us on a more occasional basis, as and when needed by the business. 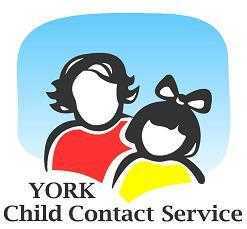 York Child Contact Centre offers an excellent service to parents when relationships have broken down. We provide a safe and welcoming venue where children can maintain and re-establish a relationship with their non residential parent. The Centre is run from Acomb Parish Church Hall. We have a large and well equipped room with toys and equipment which is available for the users of the Centre. Several families use the Centre at a time. Residential parents can bring their children to the Centre confident that their children will be safe and well looked after whilst in the care of the other parent. Working once or twice a month for 3 hours on a Saturday , volunteers are essential in helping to run our supported contact sessions, providing a safe and calming environment for the families visiting . As a volunteer you will work as part of a team , supporting staff and service users, greeting and engaging with families as well as observing contact. we have various opportunities for training and offer flexibility in the rota to suit your needs. Please contact us by email or phone to find out more information. We are looking for Casual Activity Assistants to work within the Summit Indoor Adventure. If you have a passion, an interest or experience in bowling, skating, climbing, children’s adventure play, children/adult parties or reception, then we would love to hear from you. Customer service is essential in ensuring that every customer has an incredible and memorable visit to our new site, and we are looking for individuals who are passionate about delivering this high-quality service. We need engaging individuals who can interact with adults and children and create a fun and energetic atmosphere. You will need to be able to work as a team and communicate effectively. You will strive to achieve a “nothing is too much trouble” attitude, be alert to all sales opportunities and pro-actively actively seek to offer products and services available to meet customer needs. 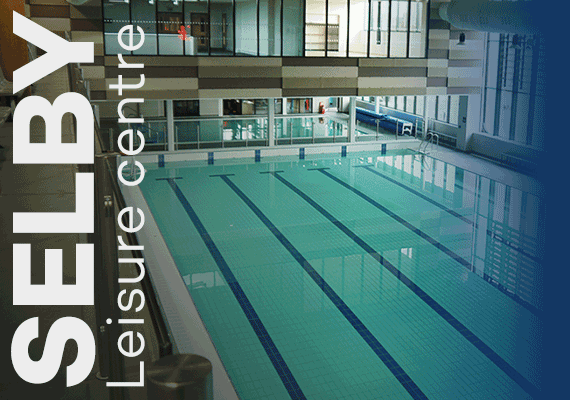 Alongside the top leisure and fitness facilities at Selby Summit is “The Diner”. The Diner is a busy establishment offering an extensive high-quality menu and environment to customers along with a busy party schedule established and is increasing in popularity. We are looking for staff who have all the requisite hospitality knowledge and experience. However, more so, we want staff who are passionate about food and drink and who can enthuse customers about our menus. Our staff will be hard working, flexible and have a clear commitment to delivering high standards of customer service. You will also have the skills, personality and that willingness to please attitude that is critical to delivering high standards. We want staff who themselves want to develop within the business. We are looking for various Casual Customer Service Assistants to work within Summit Indoor Adventure. If you have a passion, an interest or experience in bowling, skating, climbing, skiing, children’s adventure play, or reception, then we would love to hear from you. Customer service is essential in ensuring that every customer has an incredible and memorable visit at our site, and we are looking for individuals who are passionate about delivering this high- quality service. We need engaging individuals who can interact with adults and children, and create a fun and energetic atmosphere. You will need to be able to work as a team and communicate effectively. If you believe you have the skills and passion to be part of our team, we would love to hear from you. 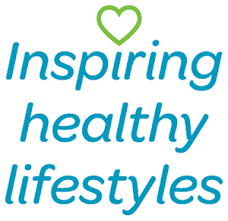 Inspiring healthy lifestyles are seeking enthusiastic and motivated Casual Sports Coaches to join its highly successful Wellbeing department in Selby. You will be required to design and deliver safe and appropriate sport specific sessions to various user groups and communities as part of Inspiring healthy lifestyles Wellbeing delivery plan. The role will encompass the coaching and facilitation of sport sessions and competitions for participants including: children and young people; adults; older people; people with disabilities; vulnerable children or adults and/or gender specific groups. 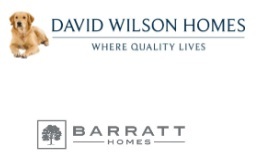 We require staff for a range of casual roles across our sites in Selby. You must possess exceptional customer service skills and have a flexible approach to work. York Developmental Social Neuroscience Lab (University of York) is inviting 6- to 18-months-old infants and their parents to participate in the ‘Baby Friendship’ project. Research suggests that children’s abilities to make friends begin to develop in first year of life. For example, you may have noticed that, when they meet to play, babies observe each other or share toys. However it is not very clear how these interactions occur and how they develop over the first months of life. Our project focusses on understanding the dynamic of infants’ interactions while they play. We anticipate a variety of styles, so there is no right or wrong. By discovering how friendships develop beginning with the first years of life, we hope to learn how to foster children’s social and emotional wellbeing, and to facilitate how well children adapt to interactions within the school environment. Participating in this project involves one visit (approximately 1.5h) to the University of York. The research session is organized like a play date during which your baby has the chance to play with another same–age infant. 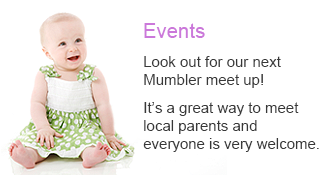 We have a play room which is suitable for this and plenty of toys. So, it is pretty fun for the babies. You will be with your baby at all times throughout the session. While the babies play, we will record their behaviour and how they respond emotionally to each other. Parents receive £10 to support the trip to the University of York and babies receive a small gift as a token of our appreciation for their help. We also provide free parking in case you decide to travel by car. Filling in the form does not mean you consent to participate. We will soon get in touch with more details about the project, and then you can decide whether you would like to schedule a research session at a date and time that suits you.